We worked together with other youth leaders to create an online survey which sought to explore what leaders thought were some of the needs currently facing young people and youth ministry. 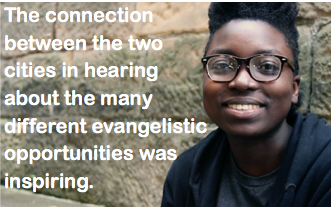 As part of this survey, we discovered that Mission and Culture was an important aspect of discipleship that needed resourcing and young people felt uncertain about engaging missionally with the world they live in. Due to this growing concern that young people today do not feel confident in sharing their faith we believe the need has never been greater to equip and raise up a generation who can live boldly for Christ. 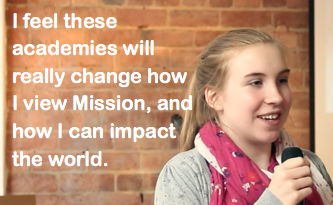 Having already conducted a pilot Mission Academy in 2014, we feel the idea of Missional teaching being outworked within youth groups will help young people grow in awareness of how to share their faith and help resource the church to better connect with young people. Mission Academy Local is 8 sessions that seek to equip young people within their local context for lifelong missional living. Our desire is to see a generation of young people, raised up as leaders in their own right, who have cultivated a rhythm of life that influences their world, through word and deed, for the Kingdom of God. There are too many young people that don’t know or believe that they are formed by God, accepted by Jesus and are not aware of the provision and resources the Holy Spirit offers. This means that, when we encourage them to share their faith and invite people to know Jesus, the idea of being “sent” with the Good News becomes something they fear or shy away from. We feel that, if we are able to address the issue of identity in Jesus, adoption through the cross and the image young people have of God, we will see a generation living out the Great Commission and developing missional-shaped lives which over time will bring an influence within every arena of life as the Holy Spirit enables them. 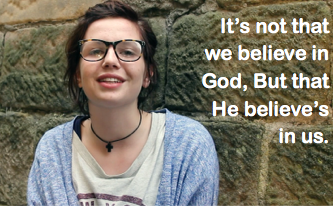 We believe Mission Academy Local can cultivate the right environment for young people to grow closer to God, becoming more confident in their understanding of scripture and sharing their faith through the mission endeavours they will be encouraged to shape and organise. 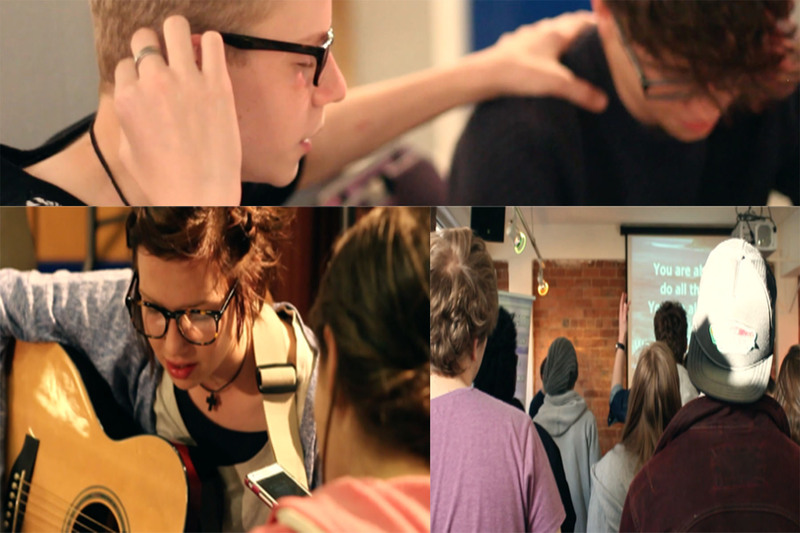 • Up to 8 sessions of teaching in the comfort of your weekly youth venue. • A handbook of support material for every young person who attends. • Teaching delivered in person by the MA team together with additional video resources. • Access to webinar material that young people can sign into and watch whenever they like. • A single “pre-session” meeting with your youth leadership team to provide relevant information and prep their involvement. With an emphasis on both reflective and experiential learning, Mission Academy Local aims to empower young people to be influential for God; “bringers of change” to the world around them. We believe that, as we work alongside your leadership team, together we can be a catalyst that inspires a generation to take God’s love and power into the many arenas of life in new and exciting ways. Is your group ready for this innovative teaching material? How can Mission Academy Local fit into the rhythm of your youth ministry? The learning environment is very relaxed, focussed on group work, discussion, teaching and personal reflection. Teaching is delivered by the MA team, via additional video resources, possible guest speakers and members of the local youth group leadership. Groups will also be encouraged to “plan” their own missional endeavours to then go away and “do” them in between the 8 sessions. There will then be the opportunity to “review” what happened and learn from it. Everyone taking part in the MA will be given a handbook filled with missional devotions and missional ideas (to help in planning mission endeavours). 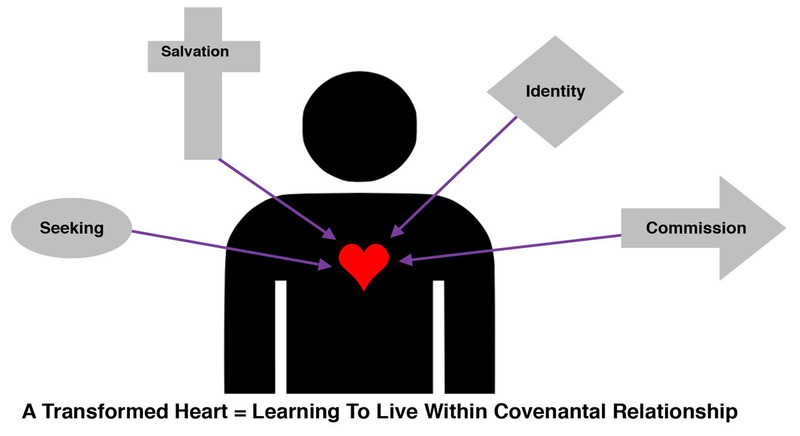 As well as notes on the theory being taught to help explore further the call to live missional-shaped lives. We will make available some great resources, amongst which will be web-based video seminars known as webinars. 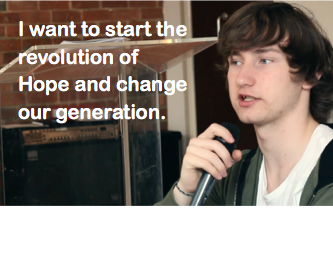 They will include interviews, discussion starters for your group and a recap of the key points you’ve learnt so far. It is important to the success of the academy that we hear from those attending about what they think about it. We want to make this a fantastic learning and growth experience for everyone involved from start to finish. Our innovative missional teaching material will compliment the heart you have to see young people become all they can be for God, as well as becoming influential for Him. We believe that as your youth group engages with Mission Academy Local, young people will start to see a personal transformation and they will see change around them as they have a Kingdom impact in their schools, amongst their friends and within every arena of life they occupy. 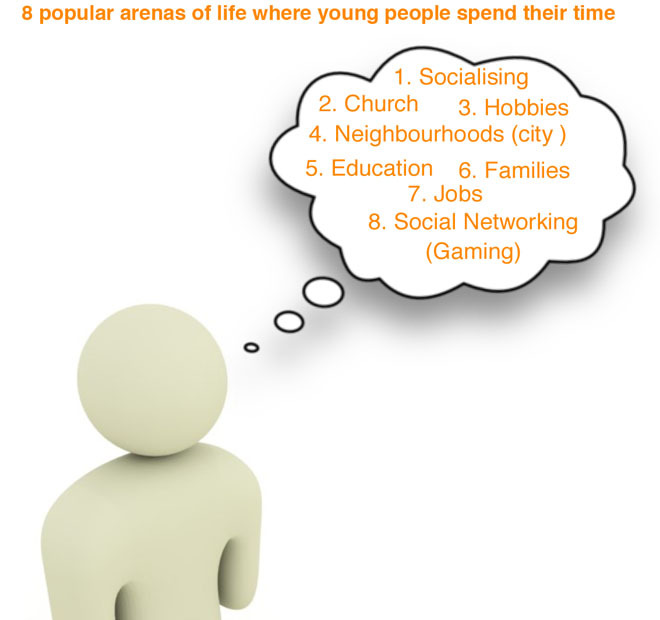 If you are interested in exploring how MA Local can benefit your young people please complete the online form at the bottom of this web page and a member of the Missional Generation team will be in touch with you. Like to know more about the MA Local program if so please fill in the form below and a member of the MG team will be in touch.